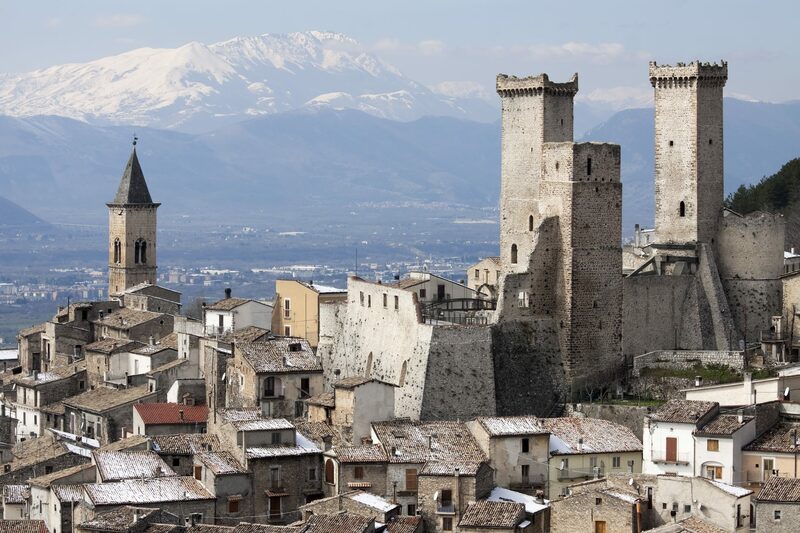 For small crowds and big diversity of flavor, landscape, and tradition, visit Abruzzo—one of Italy's most compelling, gastronomically rich regions. We break down where, what, and how to eat. East of Rome, stretching from the Adriatic coast to the Apennine mountains, lies a region of Italy that has not yet inspired the same fervor in international tourists as some of its neighbors. Abruzzo, with a varied landscape that shines in the hyper-regional cooking of its provinces, is one of those lovely stretches of Italy that feels, somehow, untouched—offering everything you might want for those (rare) moments you're not devouring handmade pasta: parks, beaches, mountains, vibrant cities, stunning churches, and museums, all of which feel like they don't simply exist for tourists' benefit. "Abruzzo is a very rustic place, where rusticity is not an affectation," says Francis Cretarola, the owner of Philadelphia's Le Virtù, a refined ode to the region's gastronomy. Cretarola splits his time between Philadelphia and Abruzzo, and trains his kitchen staff there, as well. "It's not everybody's cup of tea," he adds. Which is to say: Not only might the menus you find not have English translations, but you may not know what you've ordered until it arrives at your table. But lucky for you—it will be all the more delicious for it. Divided into the four provinces L'Aquila, Teramo, Pescara, and Chieti, Abruzzo captivates with its versatility: the contrast between urban and rural, between beach and mountain, that exist all within its borders. Below, we break down the best places to eat in each province. Home to the region's capital city of the same name, L'Aquila is the mountainous, Western-most area of the region—and the least populated. Some of the best meals you'll find not at restaurants, but at agriturismi. Located outside Gran Sasso National Park, with the Cataldi Madonna Winery, a perennial Tre-Bicchieri winner, less than a quarter mile away, this agriturismo puts the finest local ingredients on display. 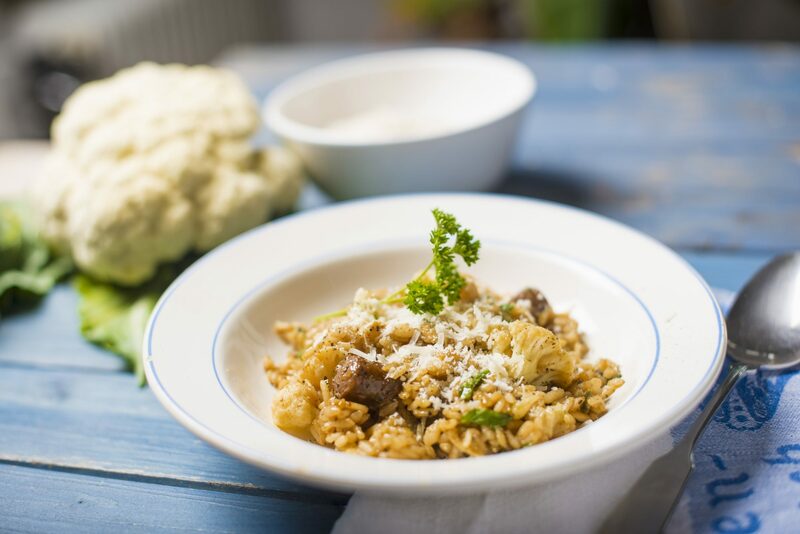 "Simple, traditional recipes are prepared with elegant rusticity using some singular local products," says Cretarola. "The famous saffron from Navelli (maybe the best in Europe), lentils from Santo Stefano di Sessanio (a village on the Campo Imperatore above Ofena), black ceci bean particular to the Gran Sasso mountain. There are rooms upstairs, as well." This roadside stand is the place to eat arrostocini: i.e. 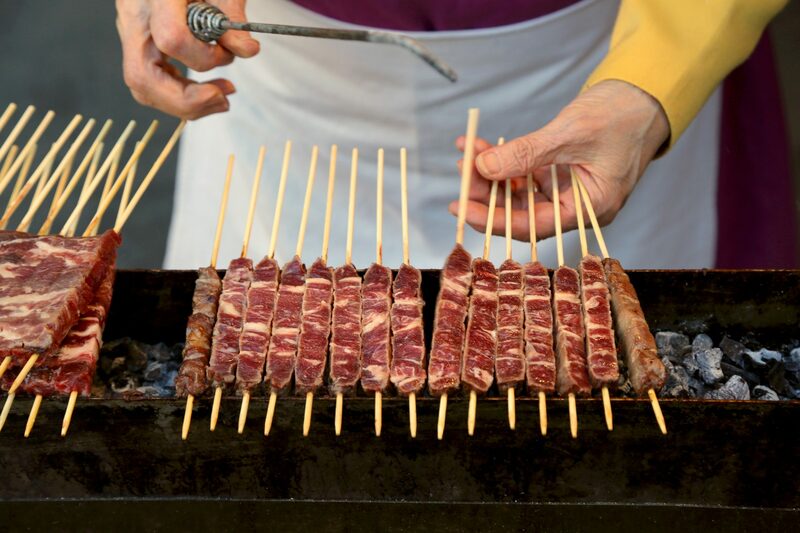 skewers of small lamb cubes that are one of the region's most recognizeable (and cherished) dishes. "Especially popular during the festive summer months, when people stay outside chit-chatting and noshing till the early morning, arrosticini are skinny kebabs made from castrato, the meat of castrated sheep (it’s significantly better than it sounds), and grilled on a fornacella, an elongated, charcoal-fired brazier purpose-built to fit the skewers," wrote Matt Colangelo in a 2017 F&W article. 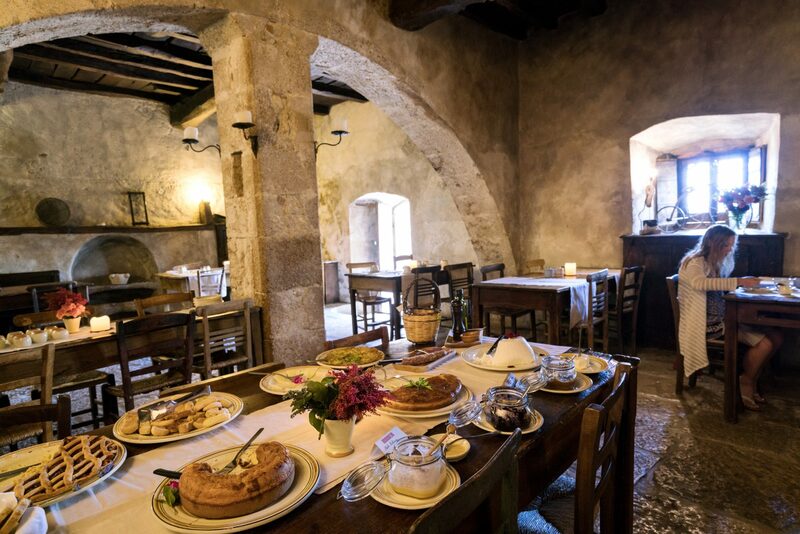 A fortified medieval village located inside the Gran Sasso and Monti della Laga national park, Santo Stefano di Sessanio has become a gourmet destination, in part, thanks to this Albergo, which has a fantastic dining room and Abruzzese wine tasting program. The tiny shop, considered by locals (and smart travelers) to serve the best cookies in town, smells like sweet dough from hundreds of feet away; that smell can keep you company as you stand in line, as the biscotteria has earned a national reputation. Consider trying the amaretti, an almond macaroon, or the biscotti al mosto cotto, which is made with a traditional Abruzzese grape syrup. Abruzzo's northernmost province (right by the region's border with Marche) features cucina teramana, considered by many to be the most refined, Cretarola says. You'll also find some of the country's best wine. A fantastic hybrid between an agriturismo and restaurant. Don't miss the maccheroncini alla chitarra or grigliata mista with lamb, pork, and sausage. "Daniele Zunica's family has been running this hotel, located in the old town's principal piazza, since 1880," says Cretarola. "His restaurant is his obsession. Reinterpretations of the regional cuisine side-by-side with preparations straight out of tradition." Located on the Adriatic coast, this more densely populated region centers around the city of Pescara, a beach-side hub that fills up with Italian tourists in the summer. On a trip last summer, we enjoyed the 30 euro lunch prix-fixe lunch special at this somewhat chic seafood restaurant located by the water, which is also one of the best places around to try crudo. (Another showstopping dish: gnocchi with shrimp, Navelli saffron, and bottarga.) You'll find a level of freshness and quality that is hard to beat. "A little outside the town, this is a compendium of local cuisine," Cretarola says. "This is where we first encountered maccheroni alla mugnaia, the single-strand, hand-pulled pasta we do at Le Virtù. And this is where we've brought staff to learn how to make it. Informal, traditional cuisine. Women making pasta can sometimes be seen at a counter in front of the semi-open kitchen, where a huge wood-fired grill also blazes"
Put plainly, here is where you'll want to eat fish. "Chieti Province, the region's southernmost, has the most unspoiled and attractive coastline," Cretarola says. "From the town of Fossacesia to the border with Molise, you have an attractive, comparatively unspoiled stretch. Trabocchi, traditional wooden platforms that project into the sea and are equipped with nets to catch fish, give this stretch its name 'la costa dei trabocchi.' Many of these have been converted into restaurants. The food is simple, the fish unbelievably fresh, and the experience singular." One of the region's most respected spots for fresh seafood, the restaurant is a great showcase of Abruzzo's best coastal cooking. "Chef Franco Spadaccini honors the ingredients and traditions of Abruzzo with his own refined interpretations. Often lots of game," says Cretarola. "The pork with wild fennel and ginger is sublime." Cutting edge, but not pretentious, he adds.